Disasters can happen day or night, causing serious damage to property and furnishings. Even though fires, storms, and floods happen without warning, it’s important to react quickly because the longer the aftermath sits, the more damage occurs and restoration costs rise. One of the first calls after checking in with loved ones should be to a high-quality disaster restoration company. ServiceMaster Restoration & Cleaning has been providing a wide range of disaster restoration services to residential and commercial clients in Huffman, TX since 1992. Each of our technicians is IICRC certified and trained to offer comprehensive restoration services that meet the rigorous guidelines set by the ServiceMaster Restore Quality Restoration Vendor Program. We use only state-of-the-art cleaning products and equipment to guarantee we’re providing the best disaster restoration services in the industry. ServiceMaster Restoration & Cleaning works with residential and commercial clients on disasters of all sizes, and we help the greater Huffman community in times of large-scale natural disasters. This commitment to excellence and high-quality customer service has been rewarded by Angie’s List with their Super Service Award, and by the Better Business Bureau, who gave us their Award of Excellence three times. Fire Damage Restoration: Fires are dangerous because they move so quickly, which is why you must evacuate immediately at the first signs of smoke or flames. Once the fire is out, be sure to call the experts at ServiceMaster Restoration & Cleaning. Just because the flames are gone, that doesn’t mean the danger of more damage is over. Synthetic materials release toxic fumes as they burn that etch and tarnish household surfaces. Soot damages surfaces as well and thick, acrid smoke gets into places that were untouched by flames. Even the materials used to combat the fire can wreak havoc on your home and its contents. Our professionals have the equipment and products to clean and restore items that you were ready to discard, as well as rebuild damaged structural elements. 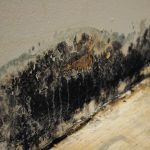 Mold Remediation: Unlike other signs of disaster damage, mold often hides itself in places like dark corners or inside walls, where it can spread undetected. The spores are always present in the air, waiting for a source of moisture, able to feed on the bounty of food sources found in building materials, textiles, and paper. Not only does mold cause damage to structures and furnishings, but it aggravates allergies and even sickens people without allergies. It’s almost impossible to safely eradicate mold without the proper equipment and products, so call the highly trained experts at ServiceMaster Restoration & Cleaning at the first sign of mold in your home or business. We are licensed by the State of Texas to provide complete commercial and residential mold remediation services, including evaluation and post-treatment testing. If your home is invaded by mold, call the experts at ServiceMaster Restore. Don’t try and clean mold yourself, let us take care of the problem for you. For more information watch the video. Water Damage Restoration: Excess water is the most common cause of disaster damage in homes because it comes from many sources. Overflowing toilets, flash floods, and broken appliances are only a few reasons why there may be more indoor humidity than usual. The longer the water sits, the further it can spread and be absorbed into drywall, furniture, and other items. As it spreads, it rots items and begins to grow mold. The professionals at ServiceMaster Restoration & Cleaning have the heavy-duty equipment to quickly remove excess water and thoroughly dry your home or business before more damage can occur. We can also restore any damaged structural materials. Smoke and Odor Mitigation: There aren’t enough air fresheners in a store to cover heavy-duty odors from sewage backups, fires, or flooding, and even if there were, who would want to breathe in the chemical fumes from them? Once bad smells get absorbed into soft surfaces, they’re just about impossible to get out on your own, so instead of covering them up repeatedly, call ServiceMaster Restoration & Cleaning. We have the most advanced equipment and cleaning products available in the industry to remove all traces of even the worst smells from your home or business. The technology we use guarantees you can enjoy your space without a can of air freshener nearby. When you need any kind of disaster restoration services, call the highly trained experts at ServiceMaster Restoration & Cleaning 24 hours a day to limit damage and begin the remediation process. We also work with your insurance company to expedite the claims process. Call us at (800) 303-5844, 24 hours a day, 7 days a week, for comprehensive disaster restoration services.